How to used SanckBar in Android ? They automatically fade out after enough time similar to a toast. The SnackBars provide Lightweight feedback about an operation. They show a brief message at the bottom of the screen on mobile and lower left on larger device. 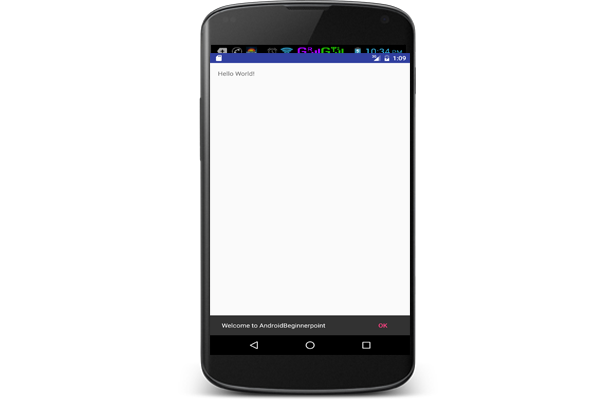 You are make custom Material Design SanckBar, and set Background color programmatically. You can also mention a callback intraction method using setAction() method. And you can also mention Snackbar Auto dismiss duration.